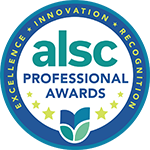 The Association for Library Service to Children (ALSC) has awarded the 2019 Maureen Hayes Author/Illustrator Visit Award to the Hocutt-Ellington Memorial Library in Clayton, North Carolina. The award, sponsored by Simon & Schuster Children’s Publishing, is designed to provide up to $4,000 to an ALSC member’s library to fund a visit from an author/illustrator who will speak to children who might otherwise not have had the opportunity to hear from a nationally known author/illustrator. Hocutt-Ellington Library, located in the town of Clayton, North Carolina will be hosting an author visit with renown children's author Grace Lin in conjunction with the 150th anniversary of their town’s founding. Although almost 31 percent of Clayton residents are under 18 years of age, neither the library or local schools have ever hosted a nationally known author. As part of their proposal school librarians and the youth services librarian will be working to coordinate an author study and day-time visit for all area third-graders. The library will also coordinate with local Johnston County homeschool groups to participate in the event. In addition, the proposal includes an evening presentation open to the general public and an opportunity for book signing. Lin, whose presentations focus on a message of the importance of representation, diversity and cultural awareness will greatly benefit the children and the overall community, as well as further the goals of the library’s strategic plan to become a partner, venue and conduit of cultural arts. The library is working with many partners throughout Clayton, including city government, local performing arts center and the Clayton Chamber of Commerce to publicize and promote the event through social media, the town website and created publications including fliers, video trailers and other postings to media outlets in Clayton and the surrounding Raleigh/Triangle area.